Deccan Chronicle – Leeds: A day after ‘MS Dhoni retiring’ speculation left the social media in frenzy after he took the match ball from the on-field umpires Bruce Oxenford and Michael Gough as England beat India in the third and final ODI in Leeds to win the series on Tuesday. Leeds: A day after ‘MS Dhoni retiring’ speculation left the social media in frenzy after he took the match ball from the on-field umpires Bruce Oxenford and Michael Gough as England beat India in the third and final ODI in Leeds to win the series on Tuesday. 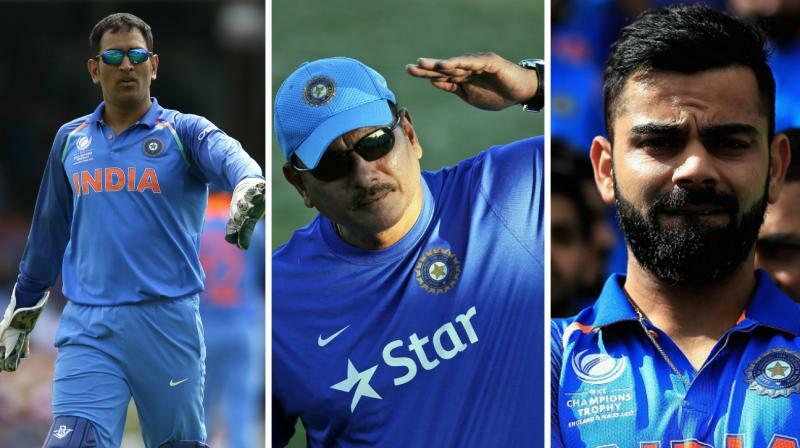 However, Virat Kohli-led Team India head coach Ravi Shastri has come out and squashed all the speculation, terming them “rubbish” while indicating that Dhoni is not going anywhere. Dhoni had come under fire following his 59-ball 37-run knock in the second ODI of the series at Lord’s. In fact, the crowd at the iconic venue booed Dhoni in the same game where he completed 10,000 ODI runs. Following that game, Kohli had came out in Dhoni’s support, saying, “When he does well, people call him the best finisher ever and when they don’t go well, they all pounce on him.